In the UK, UEFA has obtained an extension and expansion of the High Court injunction which requires ISPs to block servers streaming live European football matches without permission. The order is directed at several major ISPs and following the success of the initial order, it now covers more pirate servers and additional football competitions. Now that the World Cup is over, football teams in Europe are slowly starting to get ready for the new season. This is also true for UEFA, the international body that governs football throughout Europe. These preparations take place on the pitch, but also in the online arena and the courts. In the UK, UEFA successfully applied for an extension and expansion of the pirate stream blocking order the High Court handed down late last year. Under this order, ISPs are required to block pirate streams of several of the most popular games. The order for the upcoming season was issued by High Court Justice Arnold. It received no opposition from the ISPs and some, likely those who have skin in the game, supported the renewal. The evidence provided by UEFA convinced the High Court that the initial blocking order was a success, without it resulting in any meaningful collateral damage. “The evidence filed by UEFA in support of this application demonstrates that the First Order was very effective in achieving the blocking of access to the Target Servers during UEFA matches,” Justice Arnold writes. As with the Premier League blocking renewal, which was issued last week, there are also some small changes. The number of targeted streaming servers has expanded, for example, and there’s a shorter delay in notifying the affected hosting provider to prevent the targets from circumventing the measures. 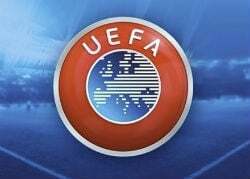 In addition, UEFA was also granted permission to expand its blocking efforts to protect additional UEFA competitions. The affected streaming servers and competitions are not mentioned by name in the order. It’s likely, however, that several major competitions such as the Champions League and the Europa League are covered. The blocking extension and expansion covers all the major UK ISPS including BT, Sky, TalkTalk and Virgin Media and will remain in place for the months to come. If it remains successful, UEFA is likely to request another update after that.